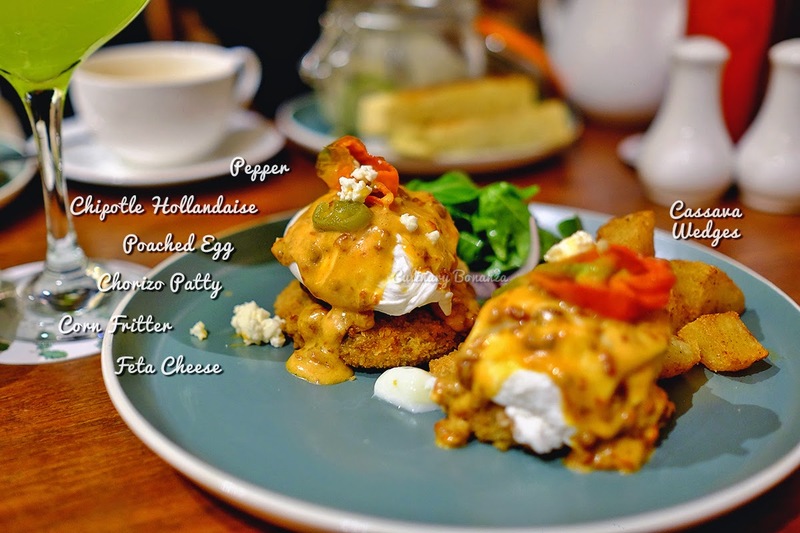 Benedict is a new concept by Union Group, the principal group of various successful F&B establishments in Jakarta such as Canteen, Union, Union Deli, Casa, Cork & Screw, E&O and Loewy. The core idea of Benedict? Breakfast food all day, with a twist! Tell you what, these are not ordinary breakfast food though, as they come with the twist of the duo chefs: Fernando Sindu & Ivan Wibowo, whom I've had the pleasure to meet a few years back. 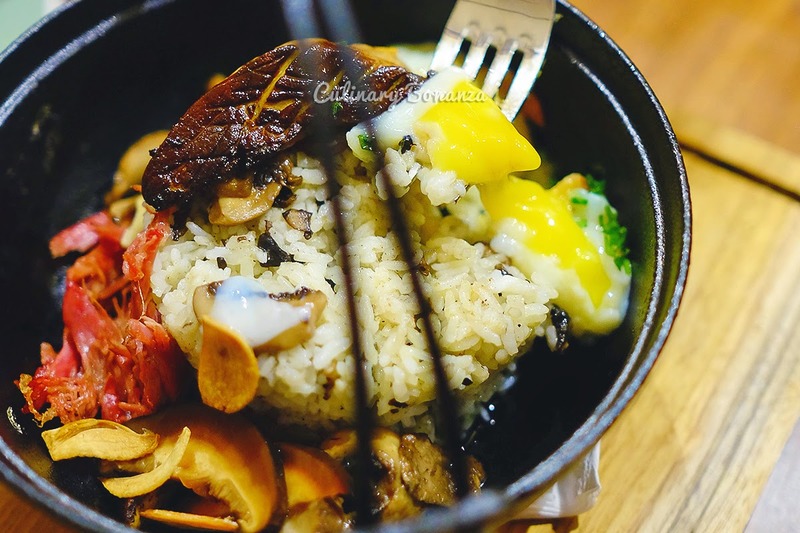 Graduates of Culinary Institute of America, the two has returned to Indonesia and feed us over pop up brunch, Uma-Bo and now they're serving at Benedict. I've always been impressed since the first time I met the two chefs and since I've tried the food they created, which somehow, hit all the right places on my taste buds. Is it a matter of pure chance? Maybe yes, or I'm just plain easy to please ( but I don't think so, no). A lot of the food and even sauces, condiments, etc are made in house, you could even purchase pickled cucumbers, berry compote, dulce de leche, etc. 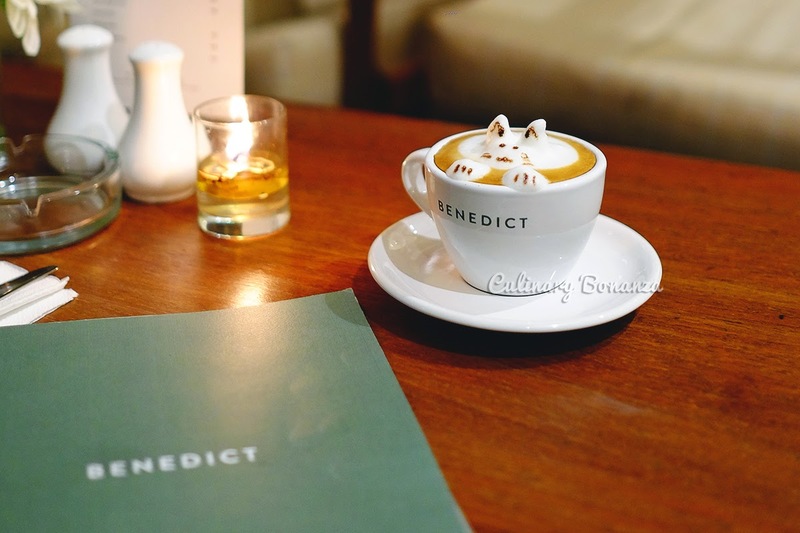 As the name suggests, Benedict serves breakfast food all day, and one can notice that a lot of the food are egg-based, or contains egg as well as their homemade bacon. It's a blessing for runny egg lovers, but if you don't like runny egg, I suggest you avoid coming here, or if you insist, give the delicious 63 degrees sous-vide egg to someone else (gimme gimme! LOL). As for the bacon, yes, they're everywhere, even in the dessert! But first, always start breakfast with a cup of well made coffee (they're using Toby's Estate). Benedict Affogato - not quite what you'd expect of conventional affogato, as the coffee comes as crushed ice in a vanilla ice cream bath instead of warm espresso poured over vanilla ice cream. This could be your dessert if you're not into cakes. 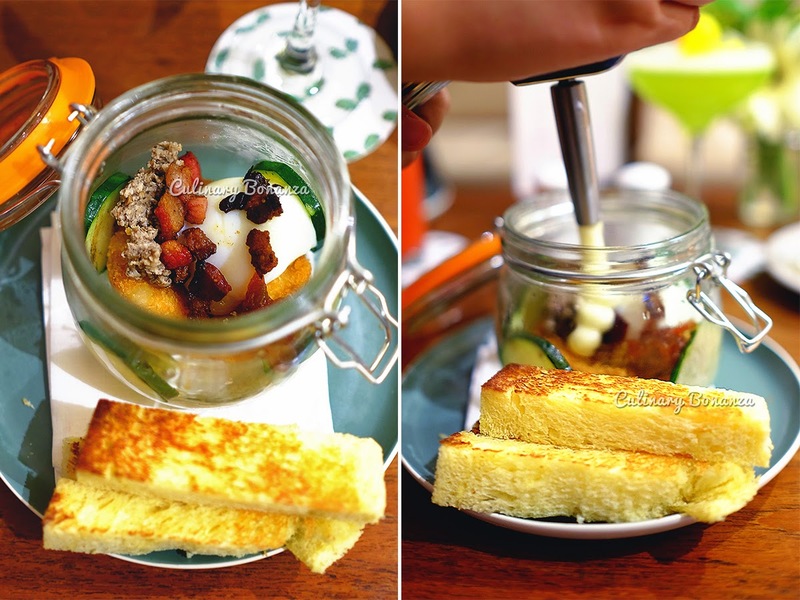 Egg in a Jar - 63 degrees sous vide egg, mac & cheese, shiitake mushrooms, beef bacon, cucumber, toasted brioche in a jar. When it arrived at your table, the staff will pipe the truffled potato foam into the jar (make sure you be nice to the staff, so they'll be generous when piping the foam haha. 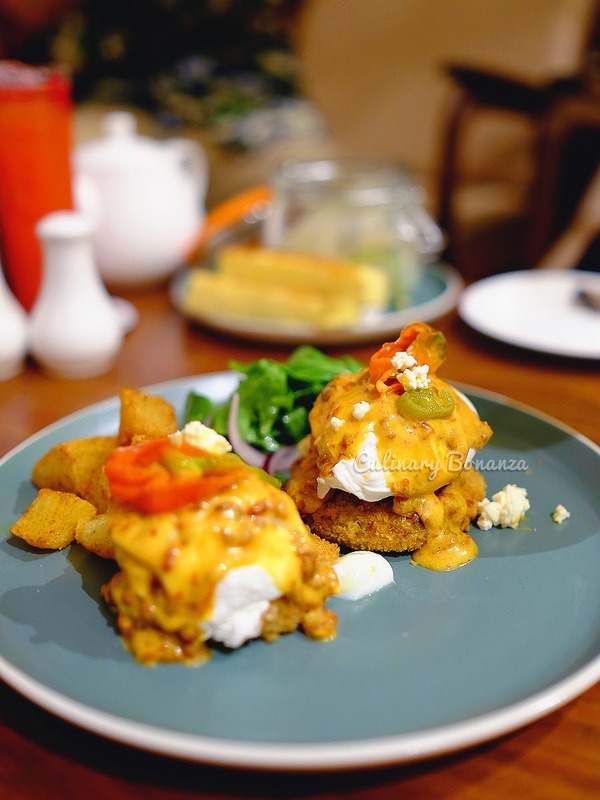 Signature Eggs Benedict (Mexican) - 2 poached eggs, chorizo hamburg patty, peppers, chipotle hollandaise sauce, corn fritters and feta cheese. The twist comes from the corn fritters, chipotle hollandaise and the cassava wedges. Despite the pepper, it's not too spicy (at least for me). Absolutely worth the price tag IDR 80,000. 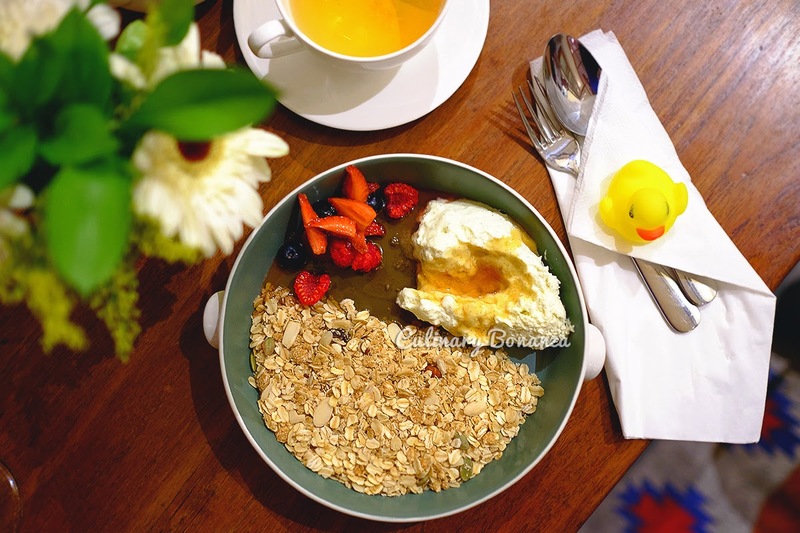 Homemade Granola - with Greek Yoghurt, fresh berries and a generous pool of honey. Feel like having something healthy and sweet, this is just nice for ya! The honey is a tad too generous, so if you're not into too much sweet, ask for the honey to be served separately. Scotch Eggs - what on earth is Scotch Eggs? It's a traditional British delicacy, basically whole egg in a meat shell. I've never had scotch eggs before, because as far as I know, I have never found it being served anywhere in Jakarta. 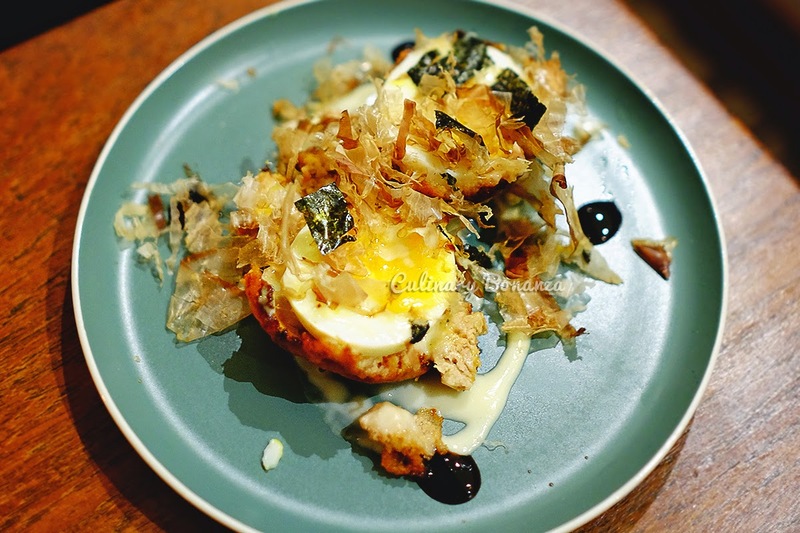 Benedict's scotch eggs twist? 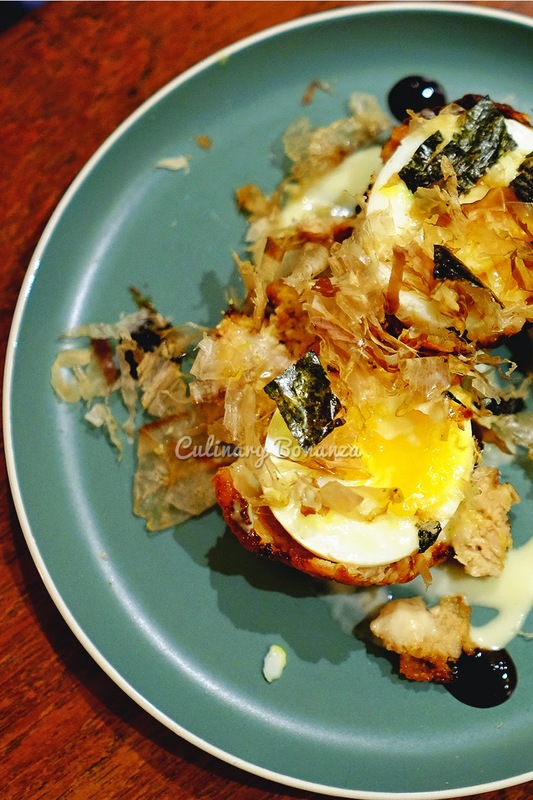 it's served with dried bonito shavings (yup, the paper-y savoury topping one normally finds on top of takoyaki). Love this! Doesn't look that pretty, but don't let the looks deceive you! 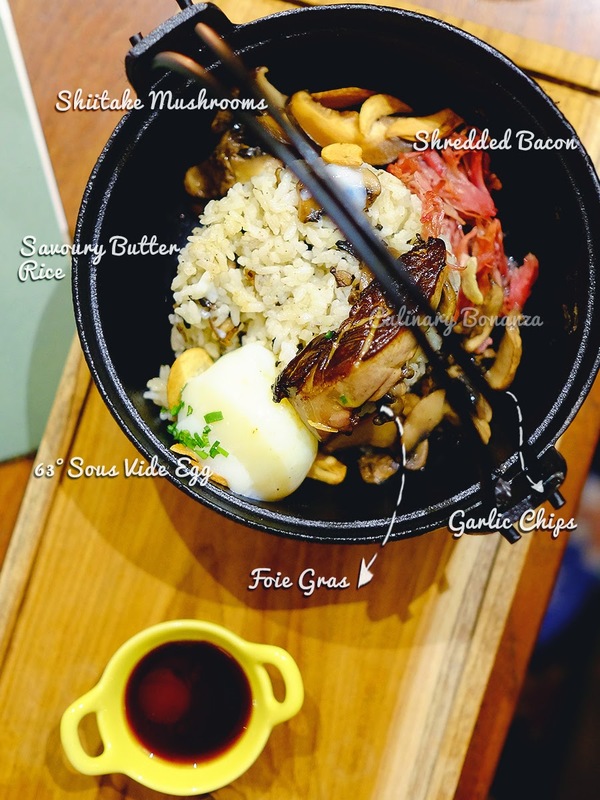 Foie Gras Rice - whole pan seared foie gras, savoury butter rice, shiitake mushrooms, sous vide egg and garlic chips served with Japanese sauce (I forgot the name). You could either mix them all together to make a bowl of mixed rice, or for me, I'd prefer to keep the elements separate so I can know what goes into my mouth in each scoop. Some will say there's too much going on in this dish (there's egg, shiitake, bacon, foie gras), but it works well for me, so I'm happy as a clam. 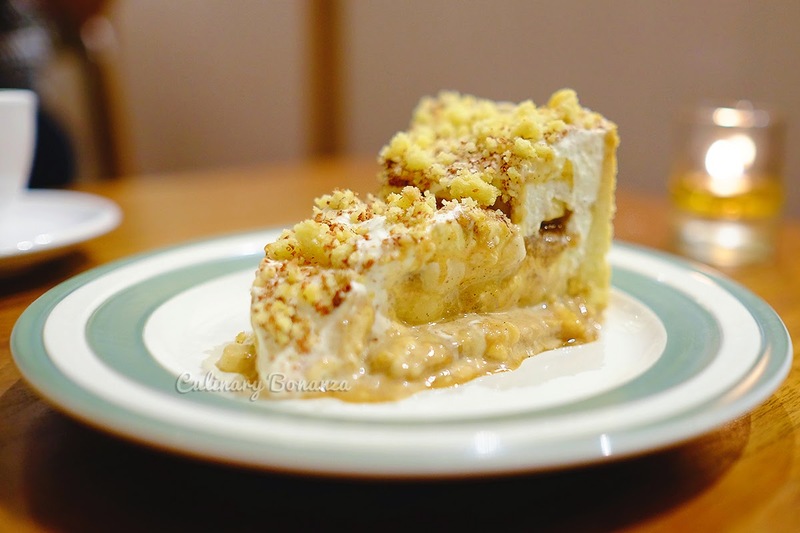 Banoffee Pie - banana slices, dulce de leche, chantilly creme, thin pastry crust and nuts crumble. Despite its intimidating look, this pie is actually not too heavy for dessert, as it's not too sweet and the cream is light. Banoffee Pie is only available for dine in. Maple Bacon Frozen Custard - basically vanilla ice cream with bacon on top and crumble. As weird as it sounds, but it actually tasted good! The bacon's rich buttery scent delightfully balances the sweet vanilla custard. Actually Benedict also serves non-breakfast main course on its menu such as Lobster Mac & Cheese, Striploin Steak with Dashi Butter, Pan-Seared Duck Breast with Quinoa, etc, which I didn't get to try yet. And I'm quite pleasantly surprised that none of the food fetch more than IDR 200,000. The highest price goes to the 200gr Striploin Steak for IDR 195,000. Oh, I'm so looking forward to coming back soon, for another serving of the foie gras rice and to try the other items on the menu. Better avoid peak hours, because the waiting list could be quite merciless, a friend of mine who came when we're about to leave, was number 12 on the waiting list!